The Temple Institute announced that they have 5 potential red heifer candidates that will be born in spring of 2018. This article comes from The Temple Institute (6/28/17) regarding where the ashes of the red heifer were burnt. It was on the Mount of Olives and I go over all of this in my book. (The Temple, The Abomination and The Holy Place https://www.amazon.com/dp/1516945433/ref=cm_sw_r_cp_apa_Bd-uzbBZTH6BP) They are starting to push this abomination once again. In this week’s Torah reading of Chukat we read about the burning of the red heifer outside the Israelite encampment, directly opposite the Ohel Mo’ed (Tent of Meeting). The following article by Pinchas Abramovich which we have translated from the Hebrew, discusses where the red heifer was slaughtered and burned in Jerusalem, when the Holy Temple was standing. The burning of the red heifer was required to be done due east of the Holy Temple, in a precise location from which the kohen (Temple priest) performing the procedure could look directly into the Temple Sanctuary and the place of the Holy of Holies. Is it possible to locate today the precise location where this was done? 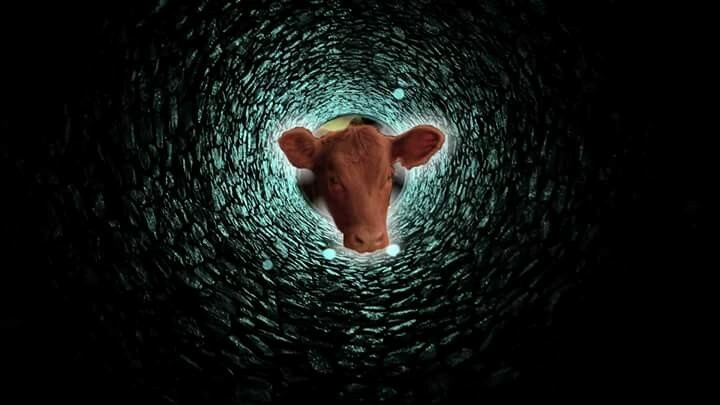 Parashat Chukat opens with the commandment of the red heifer: a person who came in contact with a dead person, or a grave site, or who was inside a tent in which a dead body was located, must be purified of his impurity by being sprinkled with purifying waters mixed with the ashes produced by the burning of a red heifer. The burning of the heifer and the sprinkling of the waters are performed in the desert by a kohen outside of the Israelite encampment. Later, this was performed on the Mount of Olives outside of walled Jerusalem, east of the Holy Temple. This was done in a location from which the kohen could clearly see into the open entrance of the Holy Temple. He would slaughter the heifer and sprinkle its blood seven times in the direction of the Temple. He then burned the cow in what was referred to as a ‘wine-press’ and gathered up the ashes of the heifer. 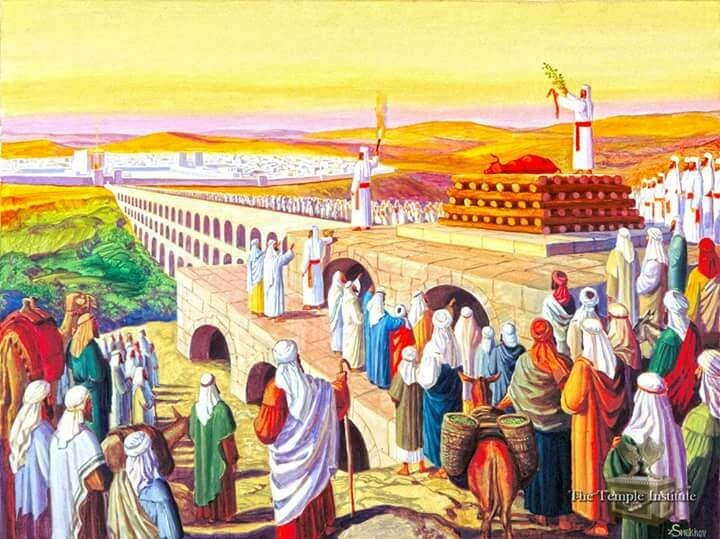 “The Gemara (Yoma 16a) calculates in detail the line of view of the kohen, who stands on the Mount of Olives and looks toward the entrance to the Temple. Thus, the priest’s gaze passes through four gates that stood in one line – the gate of the women’s section (Ezrat Nashim), the Nikanor Gate, the massive entrance to the Ulam (entrance hall of the Holy Temple), and the entrance to the Sanctuary. These gates increased in height as they approached the Temple. Thus the lintel of the gate of the Ezrat Nashim was only slightly higher than the level of the floor of the entrance to the Sanctuary. 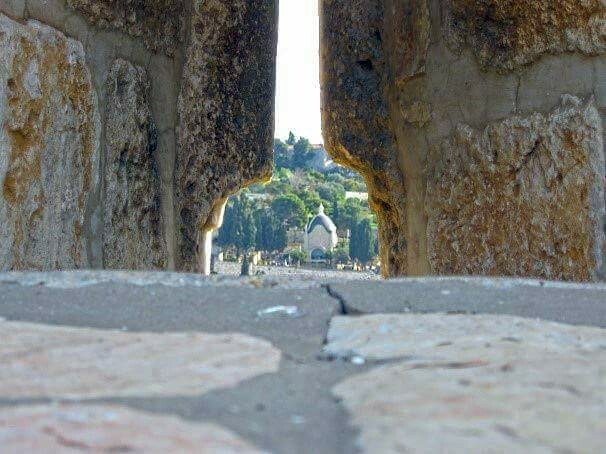 If so, then the location of the burning of the cow on the Mount of Olives should be exactly between the height of the entrance floor and the gate of the Ezrat Nashim. Archaeologist Yonatan Adler proposes identifying the site of the burning of the red heifer on the Mount of Olives in the courtyard of the church of Domanus Plavit – the Church of the Dama, which is located directly to the east and at the same elevation of the opening of the Temple in the Dome of the Rock, as this is the only area on the Mount of Olives from where the kohen can look directly into the entrance to the Holy Temple, through all four gates described above. Indeed, during the archaeological excavation which was conducted in the churchyard, and even in a survey done above the surface, he was able to reveal everything that was required in order for this location to be the actual site of the burning of the red heifer: the churchyard is on a rocky area and it is built on huge cavities carved into the bedrock. 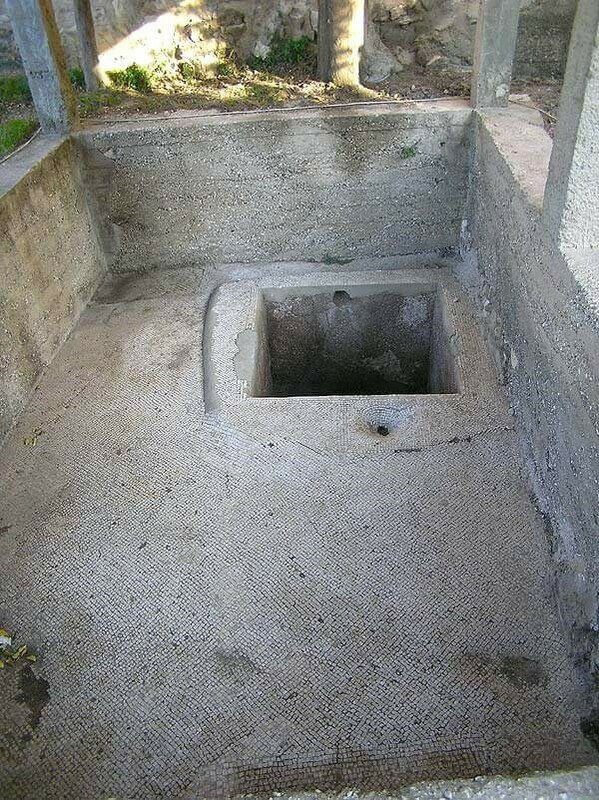 Between these hollow spaces exists a large area used today as an underground water cistern. A wine-press from the Byzantine period was found in this courtyard, which is reminiscent of the wine-press shaped location described as being the site of the burning of the red heifer in the Mishnah. 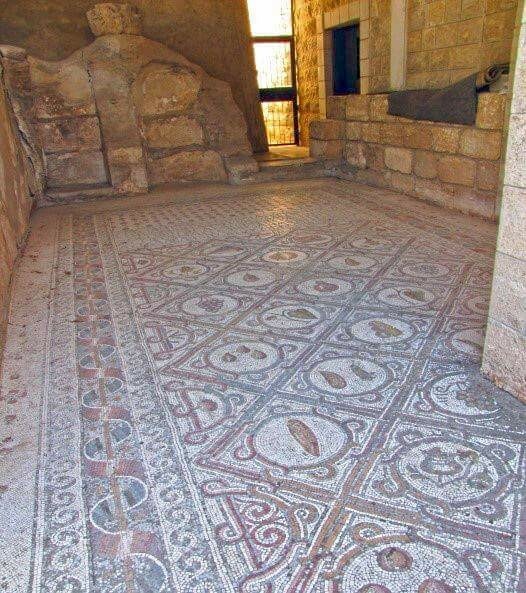 In excavations conducted during the construction of the church in the 1950s, a mosaic of an important Byzantine church was discovered, attesting to the importance of the site as early as the ancient period. Like many Byzantine churches, this may also preserve the importance of the place even before the construction of the church, even from the time of the Holy Temple. 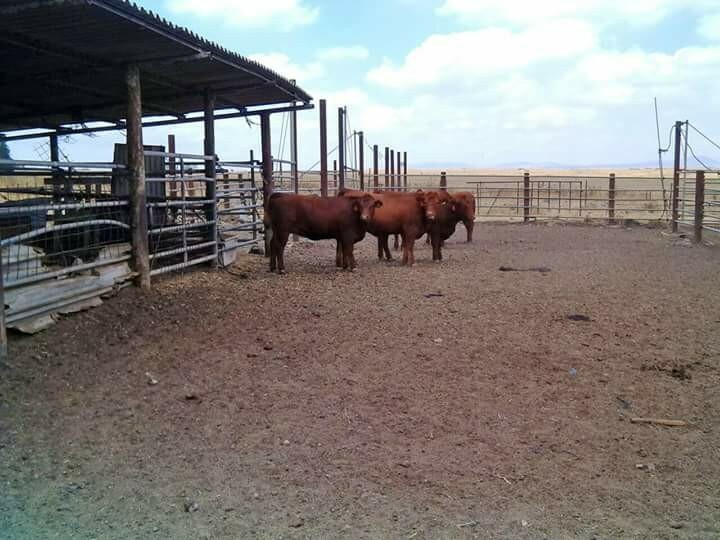 RAISE A RED HEIFER IN ISRAEL PROJECT UPDATE: GOOD NEWS: EXPECTING POTENTIAL RED HEIFERS IN 2018! 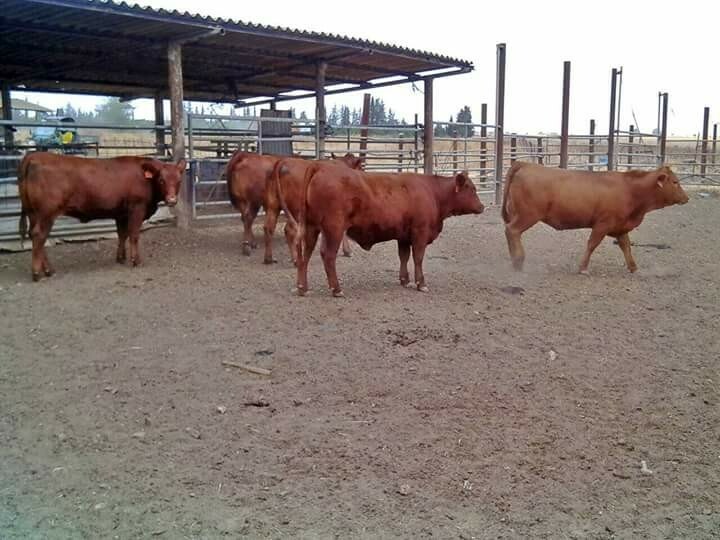 Yitzchak Reuven shares an update on the Temple Institute’s Raise a Red Heifer in Israel project with the exciting news that five red angus cows are currently carrying potential red heifer candidates. This good news of course coincides with this week’s Torah reading of Chukat, in which the laws of the Red Heifer are presented. Even as we excitedly are anticipating the prospect of being able to nullify the ritual impurity of contact with death via the ashes of the red heifer, the Muslim death cult is being celebrated on the Temple Mount in the final days of Ramadan as candies are being handed out in packages bearing the faces of terrorist murderers of innocent Jewish men, women and children. THE CUTEST (POTENTIAL) RED HEIFER EVER! 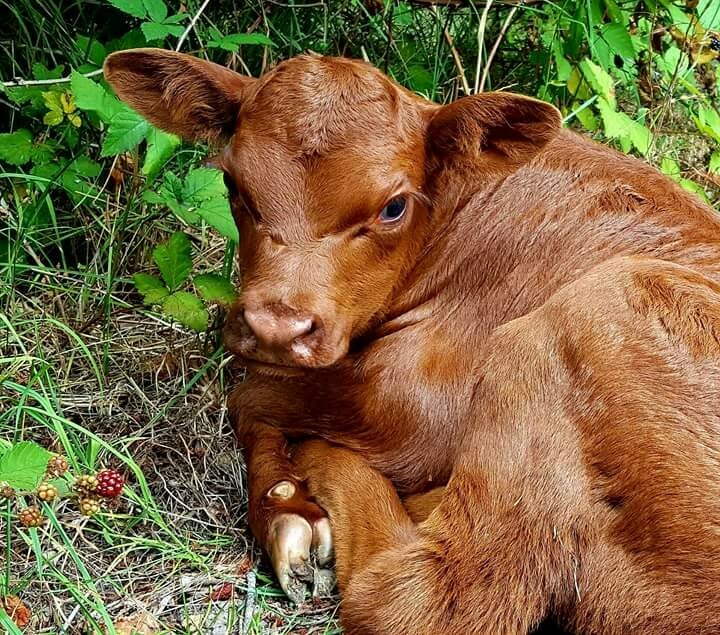 Thank you to Karen of Washington state who shared with us this photo of a red heifer candidate which was born on her farm. This photo was taken when the heifer was three days old.